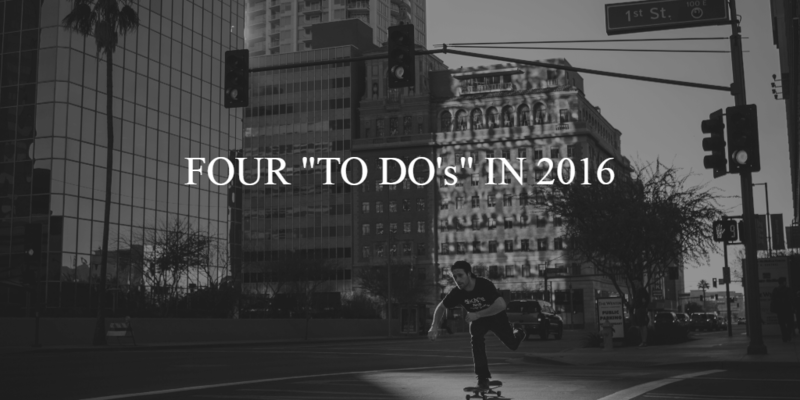 Your Financial To Do List For 2016. With the start of a New Year there is always an aspiration to do better, sometimes these are called New Year’s resolutions. Here are a few items to support you with those resolutions and help lead to a better financial life in 2016! Add a percentage to your 401(k), 457 or 403(b) plan. You will hardly notice the extra savings from your paycheck, and it should go a long way in helping with your retirement. Try to make this an annual goal. Always make sure you are saving enough to get the full match from your employer. Interest rates are starting to rise now, and this will increase any debt payments you have tied to a variable rate. With credit cards, always be paying the minimum due on all your cards. However, make sure to put a little extra towards your card with the highest rate. If your credit cards are building a lot of debt, it is a sign that you are living beyond your means. You should have enough to cover at least six months’ worth of living expenses. The easiest way to do this is to automate your savings. As soon as your paycheck comes in, automate $50-$100 to transfer to a separate account for your emergency fund. Make sure you are using a separate account, so you don’t commingle your bank accounts. The excuse, “I am too young and don’t need that yet” does not work here. We have clients in their 20’s who get these documents completed before their parents, which is not a good thing if you’re the parents. Everyone needs to have the vital four: Will, Living Will, Healthcare Power of Attorney and Durable Power of Attorney. If you have minor children, make sure you appoint a guardian as well! I won’t bore you with what they all mean; we will leave that to your attorney.